The road to home ownership doesn't start with getting pre-approved for a loan or with choosing a real estate agent. In reality, the home buying process starts and ends with your finances. Without an acceptable FICO score, buying a house is harder and, you could end up renting longer than you expected in Mesa, Arizona until you raise your score. Lenders want to make sure that allowing you a loan isn't a risk for them. Your FICO score gives lenders an insight into what type of borrower you are based solely on your credit history. You'll need a score of at least 740 to get a acceptable interest rate. You'll still get approved for a mortgage loan with a lower score, but the interest accumulated over time could be more than double that of someone having a stronger credit score. We're used to working with all levels of credit history. Call us at 480-844-0600 and we can help you get on the right track to the home of your dreams. Apply for gas station cards or retail credit. For those who have non-existent credit or less-than-stellar credit, store credit cards and gas credit cards are ways to begin your credit history, increase your credit limits and stay on top of your payments, which will raise your credit. You should always avoid holding a large balance for more than a couple of billing cycles because these types of cards traditionally have a steeper interest rate. Pay on time. 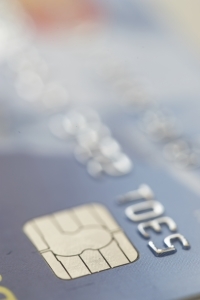 Payment history is a big factor in your FICO score. It's one of the reasons people who have recently experienced job loss see the biggest dip in their credit score. Yes, it takes longer to restore your credit this way, but it's the most reliable way to show that you're able to make payments to a lender. Correct your credit report. If you find incorrect items on your credit report, contact the bureau requesting that the item be removed. If you have a common name or the same name as a family member, you'll want to give extra care to make sure the activity reported is correct. Spread your debt around. At first, this doesn't seem like a good idea. But, you don't want to have one card that is at the maximum and have your remaining cards at a zero balance. It's better to have each of your cards at about 25% of their credit limit than to have the bulk of your debt transferred to a single card. Now that you're better informed about credit reporting, you'll be able to successfully take the first step in owning a home, and that is improving your FICO score. Remember that when it's time to apply for a loan to purchase a home, you'll want to keep your applications within a two-week window to avoid a negative mark on your credit score. With the help of Tom Rizen, the loan application process is sure to go more smoothly so you, too, can become a homeowner.